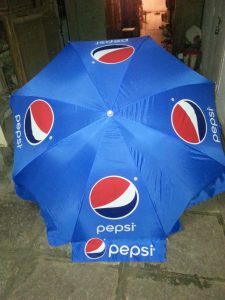 Garden umbrellas are preferred by companies whose marketing strategies are very strong as garden umbrellas are used on road side by vendors or any stalls on the street, be that the tea stall or paper stall or a road side hawker. Garden umbrellas are also used for business promotion or sales promotion or product launch and many more activities. 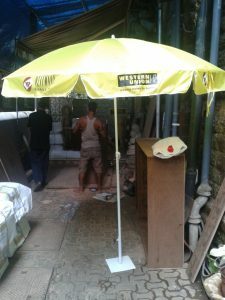 With an experience of more than 10 years in the industry of umbrella manufacturing, we Shubhamm Inc have developed a strong base in Garden Umbrella Manufacturing and which is why we feel proud to withstand amongst other competitors and be tagged as a genuine Garden Umbrella Manufacturer in India. There are more than 100 raw materials required to manufacture one single umbrella. These raw materials are assembled at one place and then the formation takes place. It seems simple but indeed can be considered one as the toughest product to manufacture. To involve more than 100 raw materials at one time and get the outcome with a minimal help of machinery and purely a creation of two hands is what it makes so special. We, Shubhamm Inc, always try to make sure that all the raw materials remain intact and the final product meets the needs of the buyer eventually. We are one of the finest umbrella manufacturers in India, and to survive in this competitive market, the entire team from the assortment of raw materials to the assembly give their best. 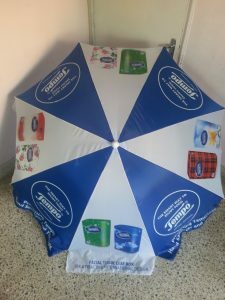 There is a list of umbrella manufacturers in India, who mostly cater the domestic sectors, we are one of those umbrella manufacturers in India who has a strong base in the domestic as well as international market as well. 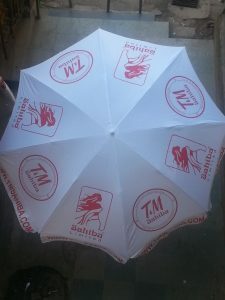 Being one of the recognised names in the umbrella manufacturing industry, we manufacture umbrellas like Promotional Garden Umbrellas, Customised Garden Umbrellas, Customised Promotional Garden Umbrella, Promotional Beach Umbrella, Promotional Outdoor Advertising Umbrella, Promotional Large Umbrella, Garden Umbrella, Promotional Radio Mirchi Umbrella, Promotional 98.3 FM Umbrella, Promotional Digital Printed Garden Umbrella, Promotional Digital Printed Beach Umbrella.